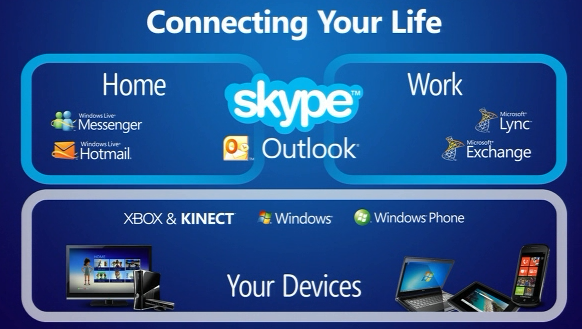 Skype is awesome for Microsoft because it's about "connecting your life." Microsoft has communications apps for personal life like Messenger and Hotmail, for work like Outlook and Exchange, and devices like Xbox, Kinect and Windows Phones, and Skype sits at the nexus between all of these, and so there's opportunities in all those areas. Skype is an amazing business. Usership is growing, revenue is growing, and EBITDA is growing even faster. Microsoft expects the deal to be accretive to earnings by the end of this calendar year. But it also means both Microsoft and Facebook now have a stick with which to beat Apple and its emerging comms platform, Facetime.